Napoletano Coffee Company Ltd is among the leading coffee harvesting and roasting companies worldwide, in all coffee types and blends. It aims to be the manufacturer and supplier of the most desired coffee products in the world, starting from the Middle East and expanding all over the Globe with its coffee products and accessories. EBOX was excited to be approached by a new client in the middle of 2018, Napoletano Coffee, in search of an E-commerce solution – one that could compete with the sites of its top competitors in the market. Just imagine the meeting with a coffee supplier! The client came to our office with a variety of Napoletano Coffee’s very own varieties of coffees, that filled our office with the coffee aroma. We expressed our gratitude by serving the Espresso coffee there and then during the meeting. The client was a given a brief about the E-commerce website, process flow and different payment options. A comparison of the six most popular E-commerce platforms was given. The client was also suggested a mobile app and a loyalty program. The client was also proposed a new corporate identity and a branding solution. A proposal was sent to the client to suggest the latest E-commerce solutions used by its top competitors. 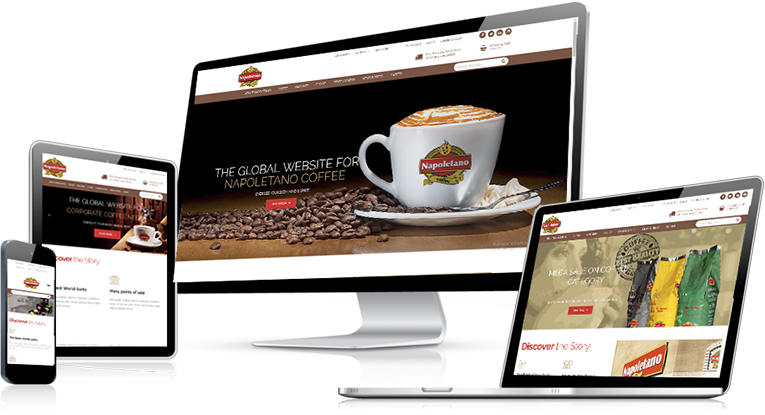 The new website and domain were to be hosted with the domain www.napoletanocoffee.it . A Company Profile presentation was shared by the client, based on which a Requirement Specification Document was written and sent to the client for feedback. This included reference links to websites of competitors, the revised site structure and wireframing of webpages, as a prototype of the site. A project plan was created to determine the timeline of the project and each of its phases. 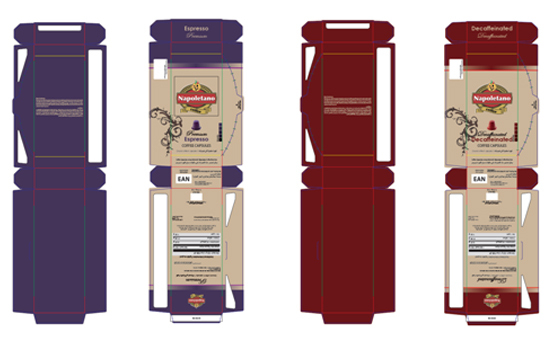 A new color scheme for the capsule packages were suggested, for four varieties of coffee: Espresso Classico, Intenso and Premium; and Decaffeinated. The pages of the site were designed with the UX Strategy, starting with the homepage. The designs were modified several times before they were finalized. Website of Napoletano Coffee coming up! Based on our feedback, the client has even updated his shipment with the new machines. Why not pop in for a coffee or given us a call to discuss your project?